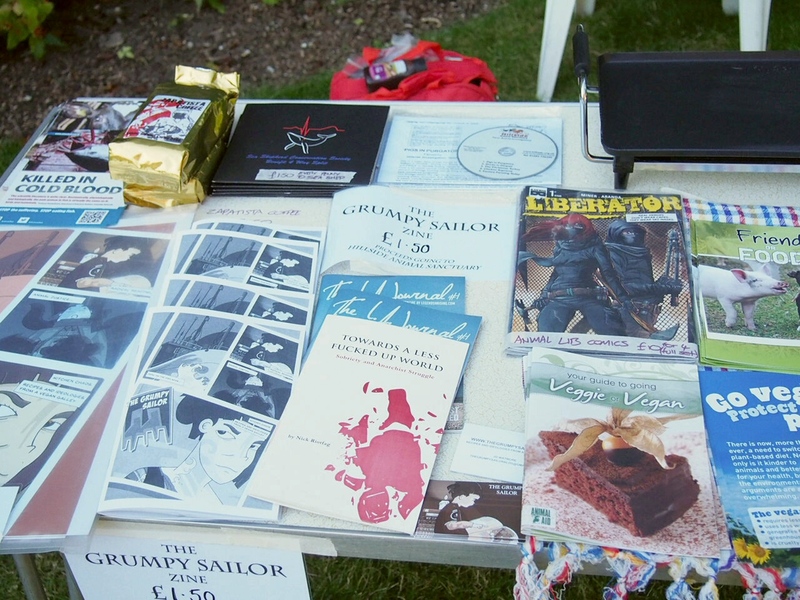 Last weekend I did my very first stall at Norwich Veggie Fayre, selling The Grumpy Sailor Zines to raise money for Hillside Animal Sanctuary, homemade sausage sandwiches, and vegan jaffa cakes. The whole day was a huge success and it was so fun to be part of it all. 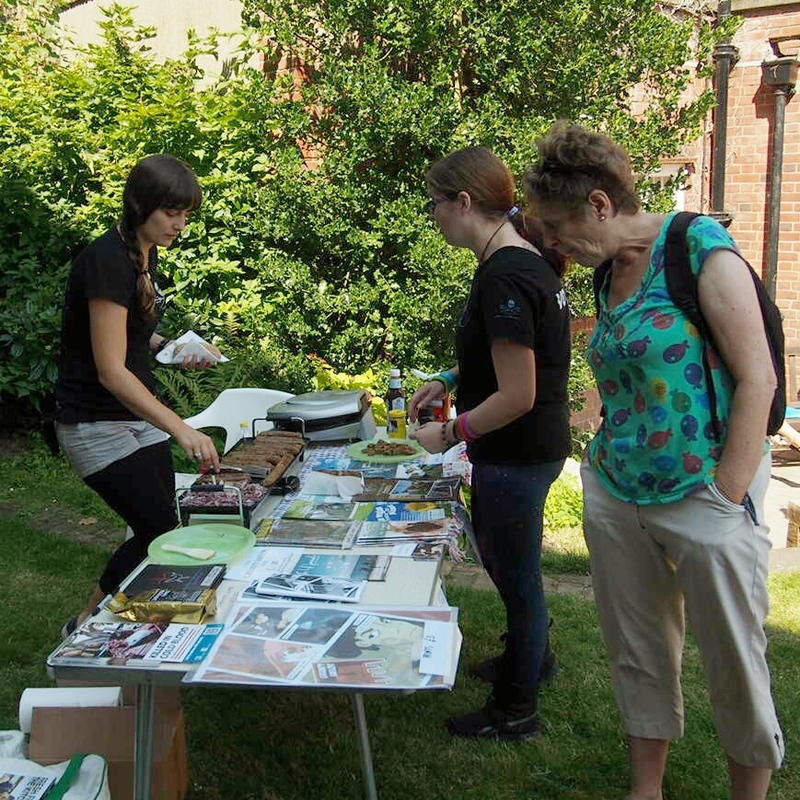 The Norwich Veggie Fayre is only in its fourth year, but its growing and getting more and more popular! Next year they are going to have to find a bigger venue. The whole of last week running up to the Fayre was dedicated to getting everything ready, I really had no idea just how long it would all take, it was crazy. After getting the Zine finally finished and sent to the printers on Tuesday I spend the next few days make 200 Vegan Lincolnshire Sausages and about 100 jaffa cakes. The sausages were something I am practiced at having to sometimes on the larger ships make 60-70 at a time. 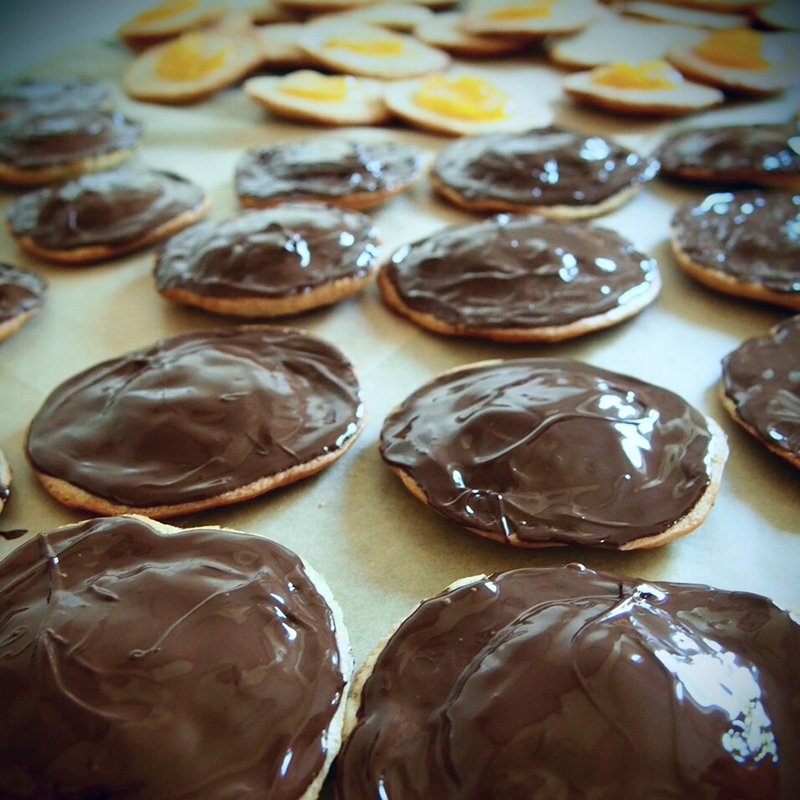 But the jaffa cakes however…. totally different story. I had made up to 12 in one go before, a normal sized batch. But when you stretch that to 100, wow it becomes repetitive work! So for whose who came along and enjoyed a bag of them this weekend congratulations as I don’t think I will ever be making those commercially again! For that reason I have decided to share the recipe, as I believe special things should always be shared.. especially when they are this good! They are a really fun thing to make when you are just doing one or two batches at a time and well worth the effort. 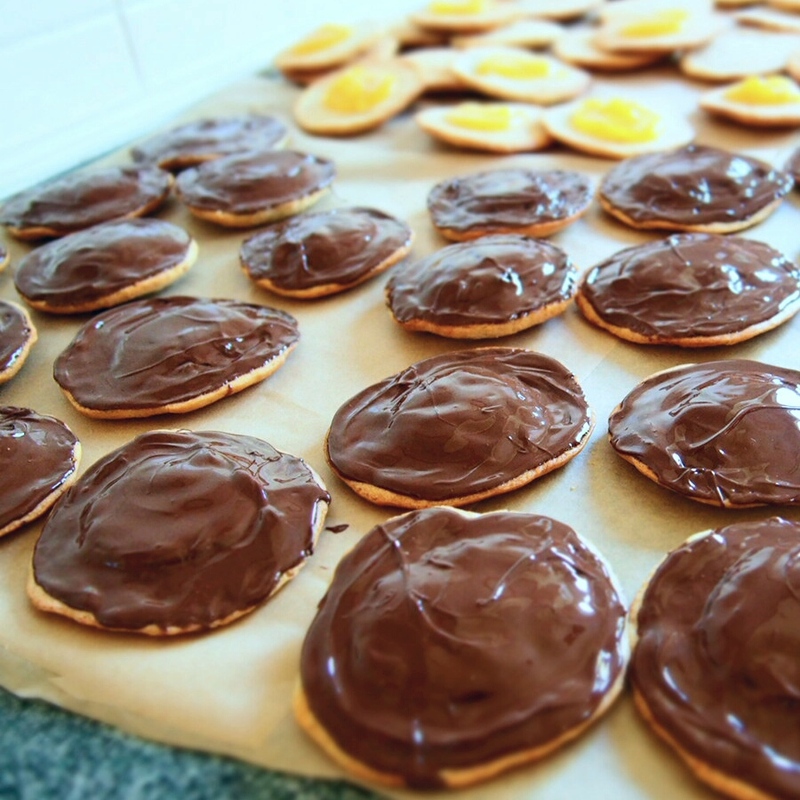 I used to absolutely ADORED jaffa cakes before I became vegan so this really was a recipe I wanted to put together for quite some time. Preheat oven to 170ºc. Line a baking sheet with greased baking paper. 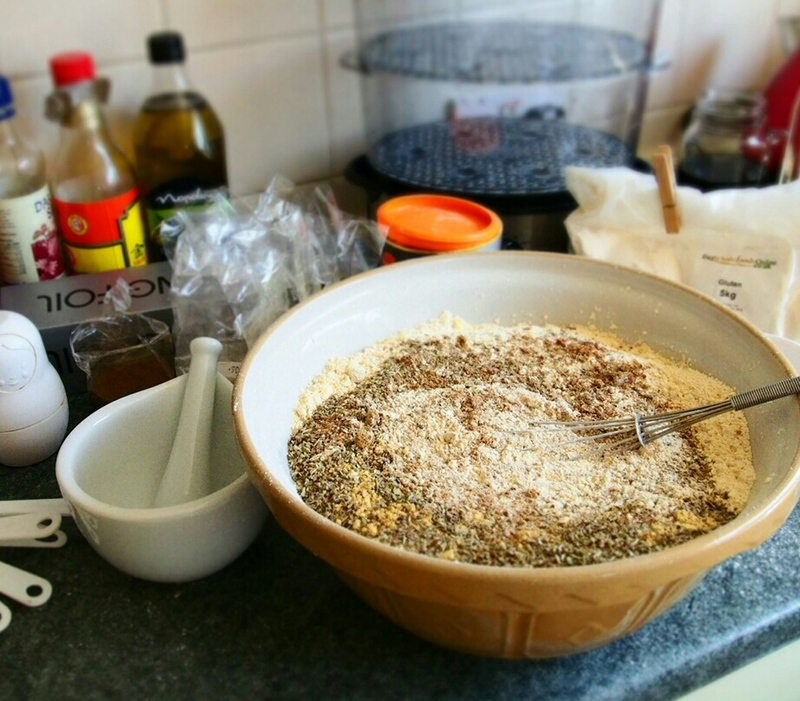 Sift together the flour, sugar, ground flaxseed and baking powder and set aside. In a seperate bowl mash up the banana well, then whisk in the vanilla, oil and non dairy milk. Add the banana milk mixture to the flour and stir together until well combined. Using a tablespoon measure take a large scoop and shape the batter on the baking paper into a 3 inch round disk. Repeat until all the batter is used up and bake for approx 10 minutes or until golden. Set aside to cool. To make the orange jelly mix all jelly ingredients in a small sauce pan. Bring to the boil, reduce heat and simmer for 10 minutes. Take off heat and let mixture begin to cool. Prepare the cake base by flipping upside down so the slightly domed side is on the bottom. Once the jelly mixture reaches about room temperature it will begin to set, so whisk it up to keep it smooth, then once its not too runny spoon a tablespoon of orange jelly onto the middle of each cake base. Set aside to set. 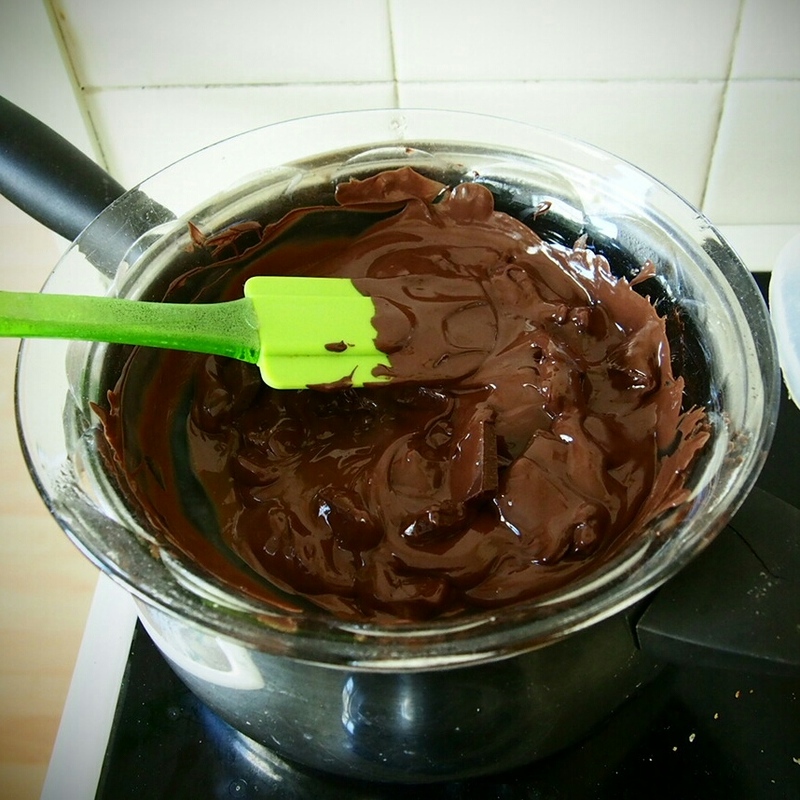 Melt chocolate in a double boiler until smooth and carefully spread over the top of the fully set orange jelly and up to the edge of the cake base. Place in the fridge until chocolate has fully set before enjoying.